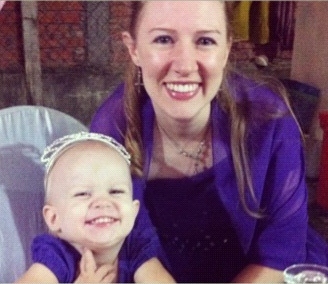 Elizabeth, Great story…After 4 1/2 years I continue to have the same language struggles. Step-by-step is my constant reminder. We sure are glad you guys are here!!! You look absolutely beautiful (purple is my favorite color too). Yes Sharon, purple is the best color! Remember when I tried on your purple Khmer wedding dress (and it didn’t fit!)? And then I borrowed a different purple dress? Well, I guess great minds think . . . purple! !